REMEMBER this term its our turn to go to Forest School so please have your kit in school every Monday; Sturdy footwear (Wellington boots or walking boots), A waterproof coat and trousers if you have them, an extra jumper or cardigan for when the weather gets colder and some old trousers you don't mind getting dirty. Forest school can be very mucky!! 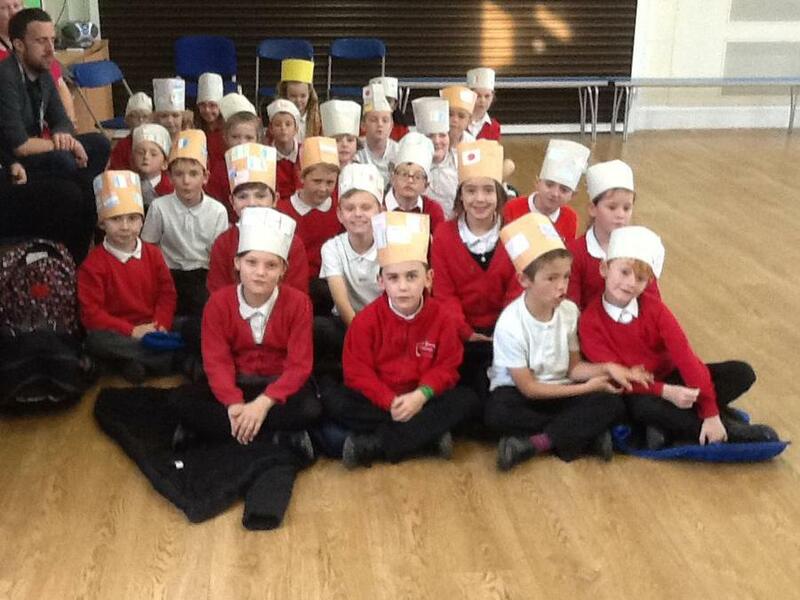 This week we have been finishing off our topic of the Vikings. We worked together in small groups to put together a poster presentation to show the class, using our knowledge of what we have learnt and finding new information when researching online. This week we also took part in the Christmas performance and we hope you enjoyed the show as much as we have loved being a part of it. 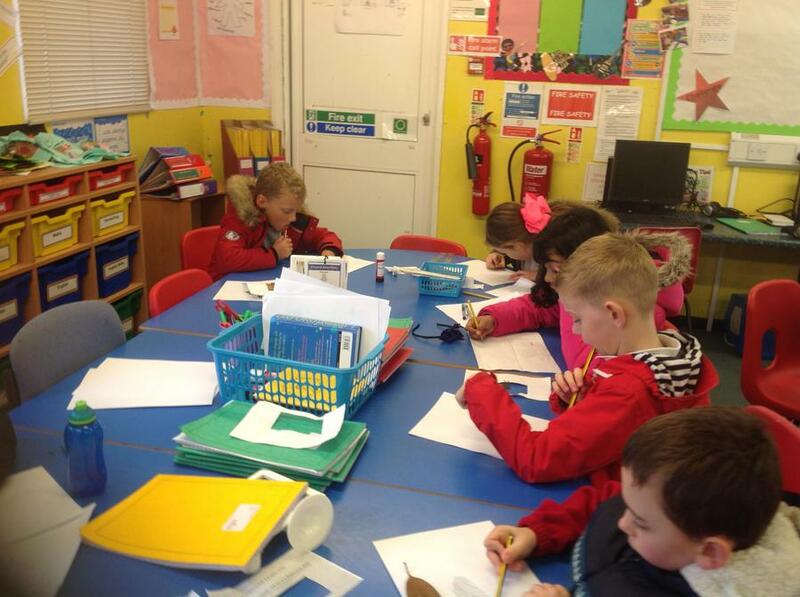 This week we have been working in small groups to design, plan and make Viking longboats that will float in the water. We have had to think about many different things; what materials we will need, sourcing the materials, making our design as a group, thinking about the size of our boats, how we will make them water safe and the detail we will put in to make them look like a real Viking longboat. 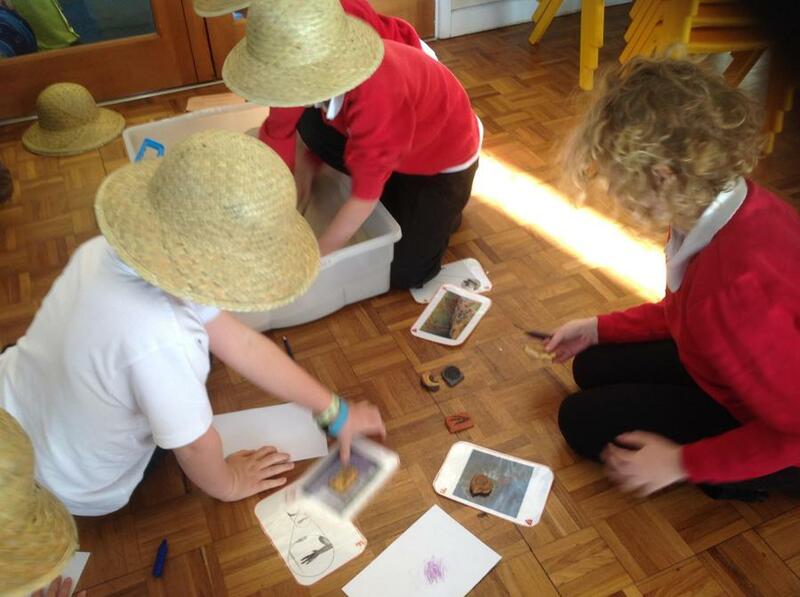 After we had made our plans it was now time to bring in the resources and get to work builiding our longboats. Once we had put together all our resources and made our longboats it was time to show the class and test them out in the water. After all our careful planning and making all of our longboats were able to stand the test of the water and float!! Now we had finished it was time to evaluate of longboats. In forest school this week we used view finders to draw pictures, this meant that we were only able to draw what we could see through our view finders. We focused the detail on the objects in the foreground but also what we could see in the background. On Wednesday we had a mindfulness morning , focusing on communication. 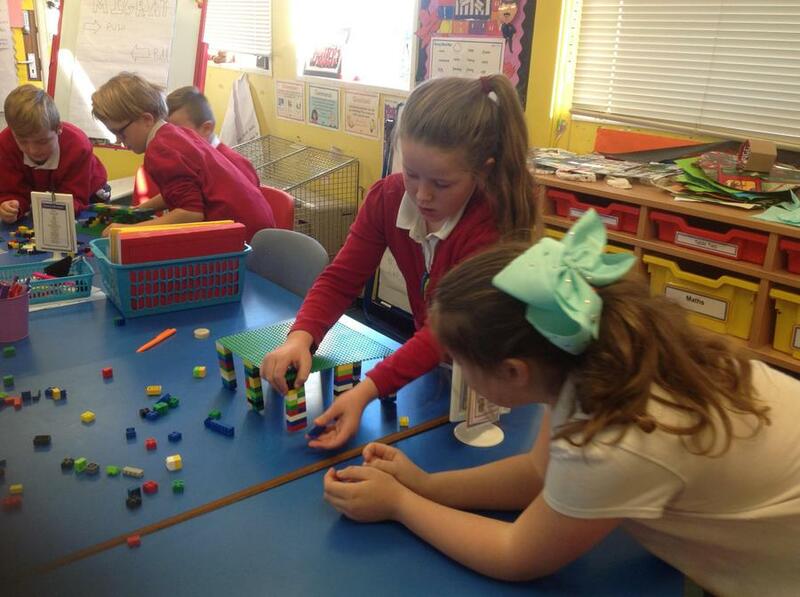 We moved around all of the KS2 classrooms taking part in different activities; charades, board games, yoga, blindfolded locating and working in groups following instructions to build bridges with the lego. We thoroughly enjoyed our morning. 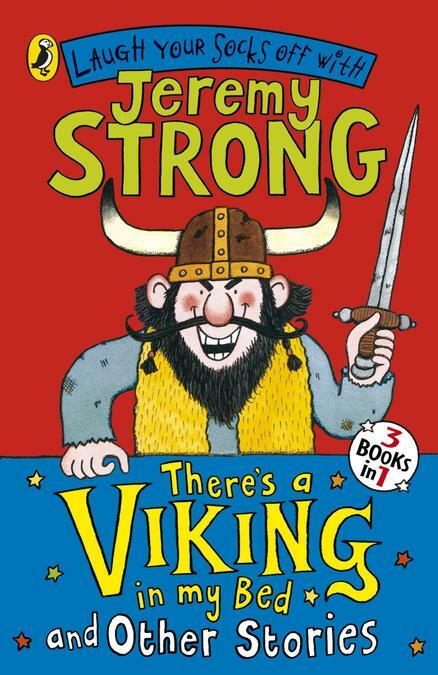 Our class book this term is Theres a Viking in my bed By Jeremy Strong, to link with our topic of Vikings. 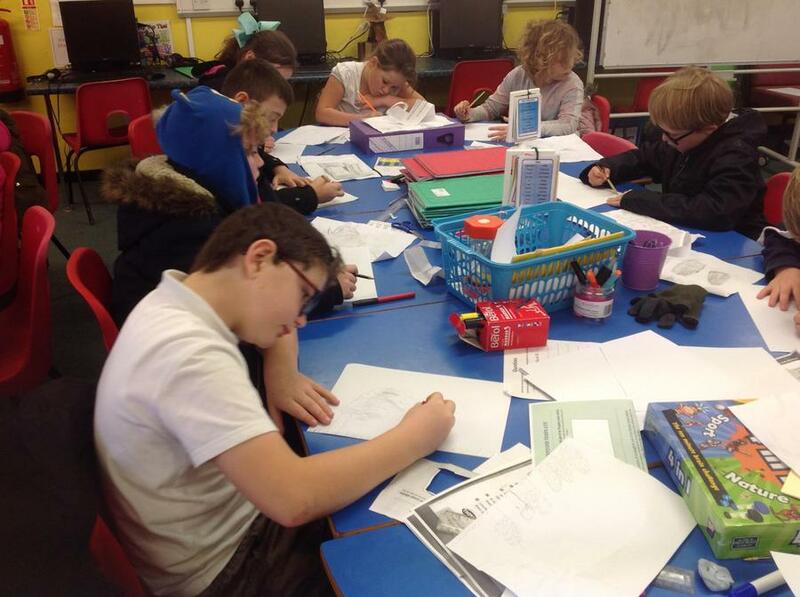 This week in English we have been making brochures for the Viking hotel in the story. Using persuasive language and description. 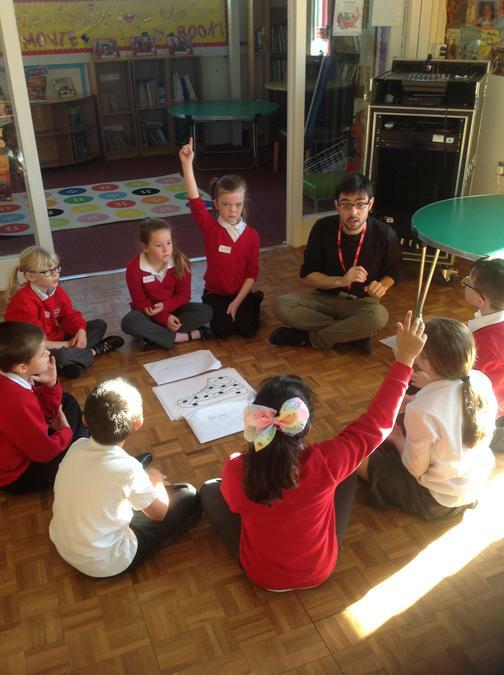 This week we were very lucky to have a visit from a university team called In2University, they came to do a workshop with us in Year Four. The workshop was all about thinking about careers and the skills used in different job roles. The workshop was split into three careers; the art and design zone where we became product designers, the history zone where we became archaeologist hunting for fossils and the maths and in the science zone we became civil engineers. 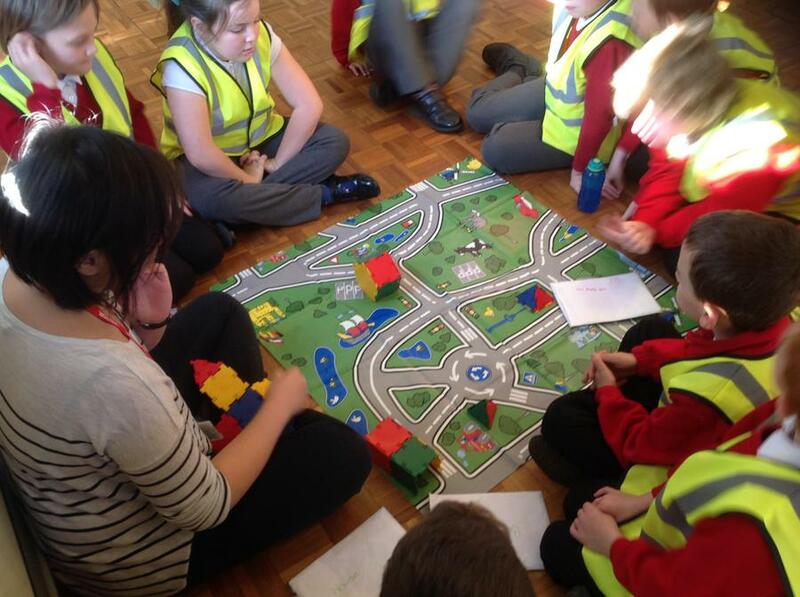 We had a great time and learnt so much about the skills we will need in later life. 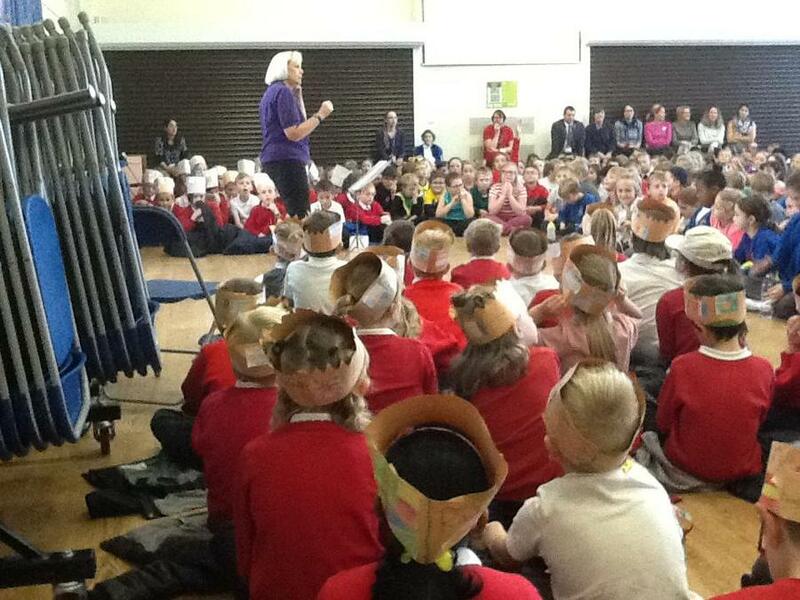 As a school this week we have been taking part in anti-bullying week. 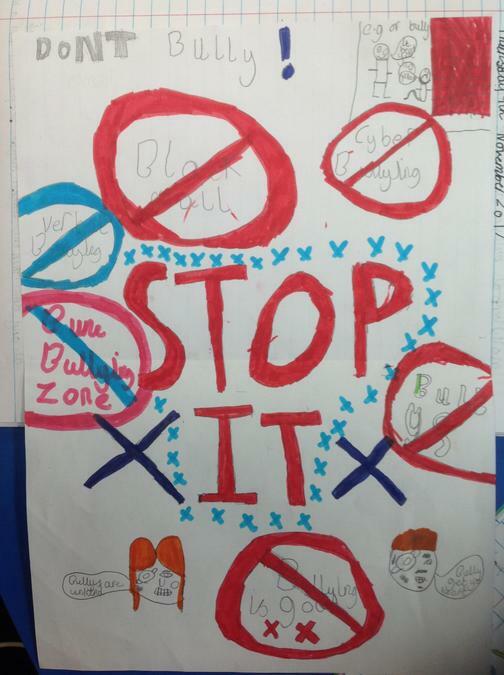 In Year Four we have been discussing bullying; what it is, how it makes people feel and what we can do stop bullying. 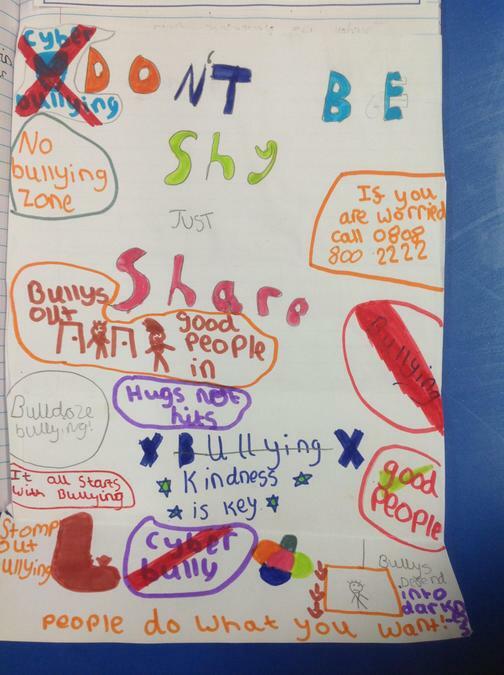 We also made posters to promote anti-bullying week, we thought about what to put on our posters to help people who may be getting bullied. This week Year Four along with Year Three took part in Raise the roof, on Friday afternoon we walked to Windwhistle School for a afternoon of singing. We sang a range of different songs from all around the world to celebrate all styles of music. We had a great afternoon getting involved with the different schools. 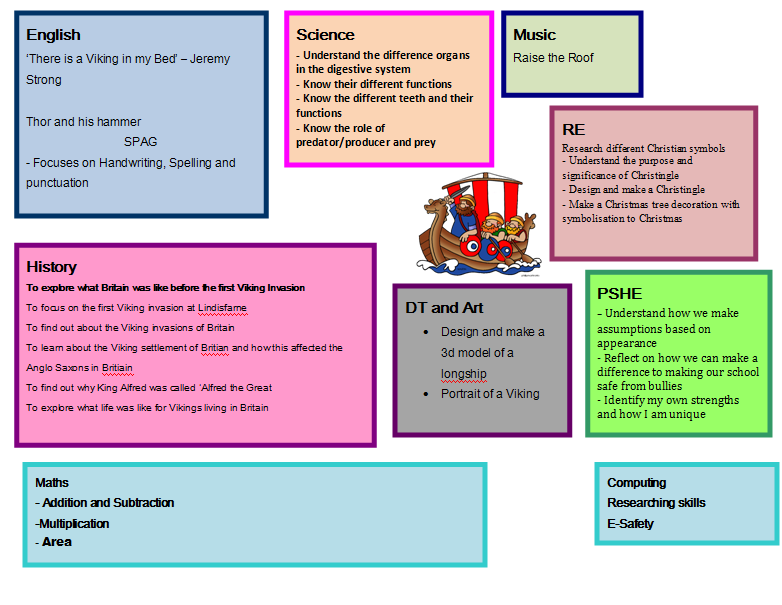 Our topic this term is 'Who are the Vikings?'. 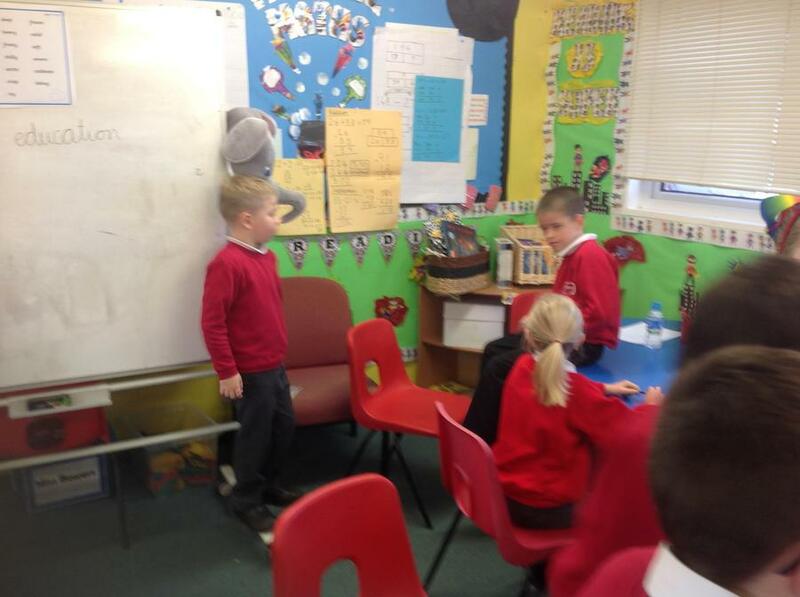 Please take a look at our topic web to find out what we will be getting up to. 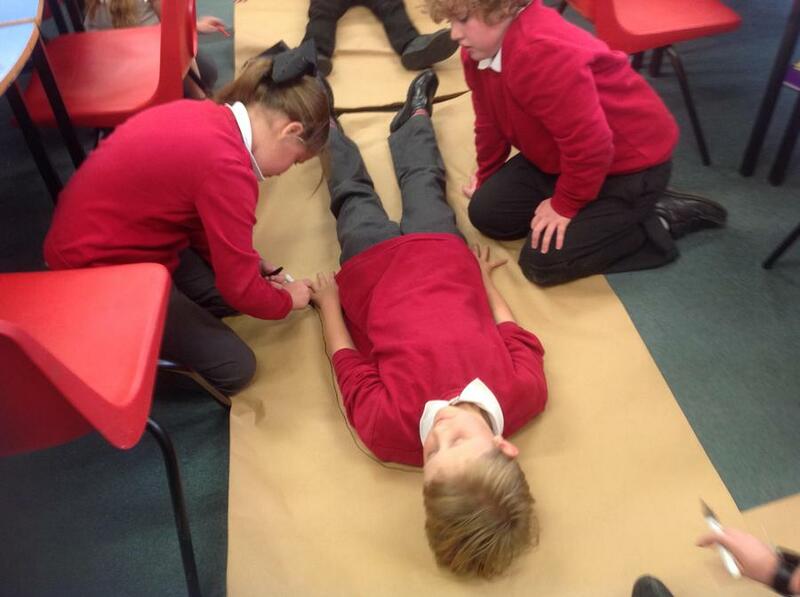 This week we have got straight back into our work and have been looking at the digestive system. 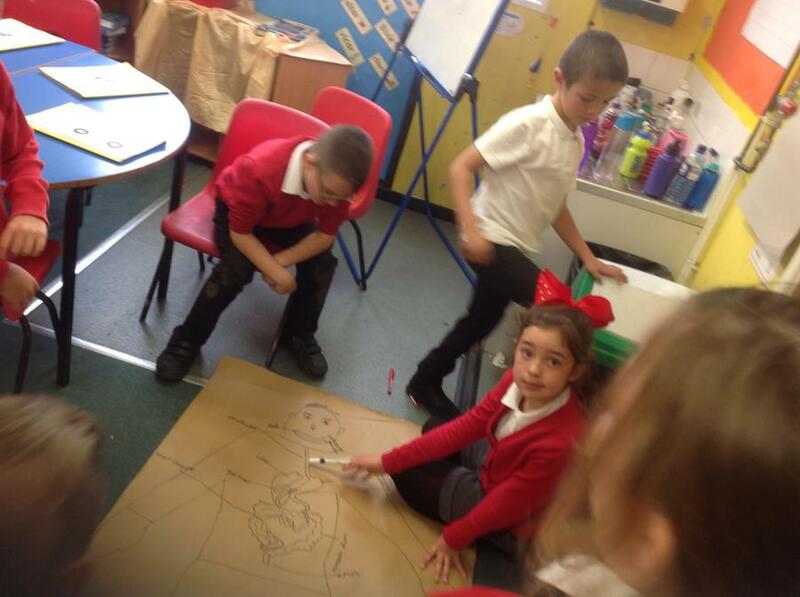 We drew around each other and then labelled parts of the body in the digestive system. We hope you had a lovely half term break and are looking forward to getting back to work! REMEMBER this term its our turn to go to Forest School so please have your kit in school every Monday; Sturdy footwear (Wellington boots or walking boots), A waterproof coat and trousers if you have them, an extra jumper or cardigan for when the weather gets colder and some old trousers you don't mind getting dirty. Forest school can be very mucky! !